I have had a long day in my studio and just about time to stop for the day. I did change my Prodiver earlier to one of my favourite Stowas. Renisin, Quartersawn, inlieu and 3 others like this. Great shot Nellie! Love the patina on the strap. Renisin, smuggled_sheep, Emospence and 1 others like this. Wearing my Flieger logo date today! Salome, Emospence and mitadoc like this. Renisin and Quartersawn like this. my Ikarus with a black shell cordovan (Nomos) strap. Renisin and Emospence like this. Congrats! Great looking Flieger; looks sharp on the Nato strap too! One quick iphone shot this morning............ my Ikarus with a black shell cordovan (Nomos) strap. That cordovan strap is divine!! Hmmm... after seeing your picture, I think I need to pull out my old style brown strap for mine. I know that this watch isn't a Stowa but it is my favourite watch made by Jorge Schauer. This was the first watch that I purchased that started this hunger. Renisin, KUNISMAN, nothenorm and 5 others like this. Well, if I had one it would be my favorite watch too!! Fantastic; looks great on that strap too! Thanks a lot for posting your "Kleine Schauers"! A quick question: The colour of the white Kleine Schauer; is this a plain white or rather eggshell or light creme white? 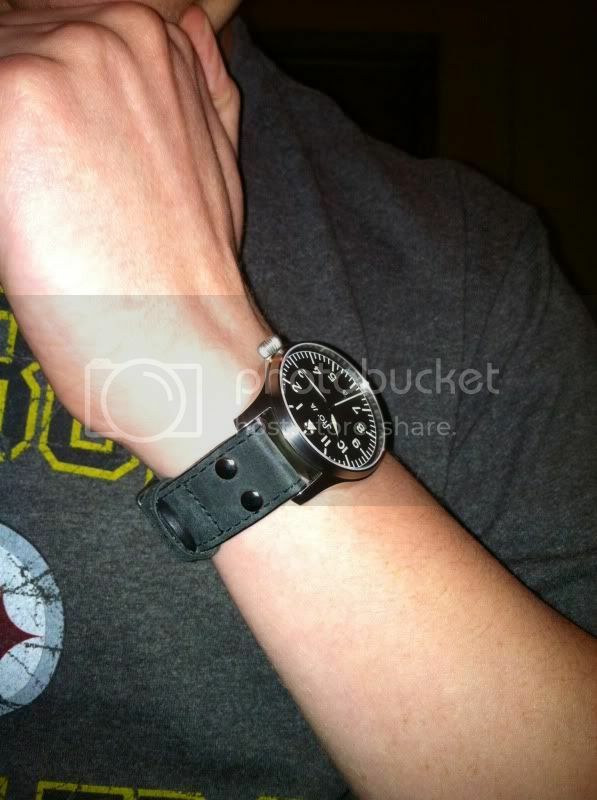 If so, did you buy the watch because of the PUW movement or rather because of the special colour of the face?